After Instagram Stories and Instagram Live, you would think Instagram would slow up a little bit on the updates. But no. Today, the social titan introduces a brand new feature that is sure to get you excited! 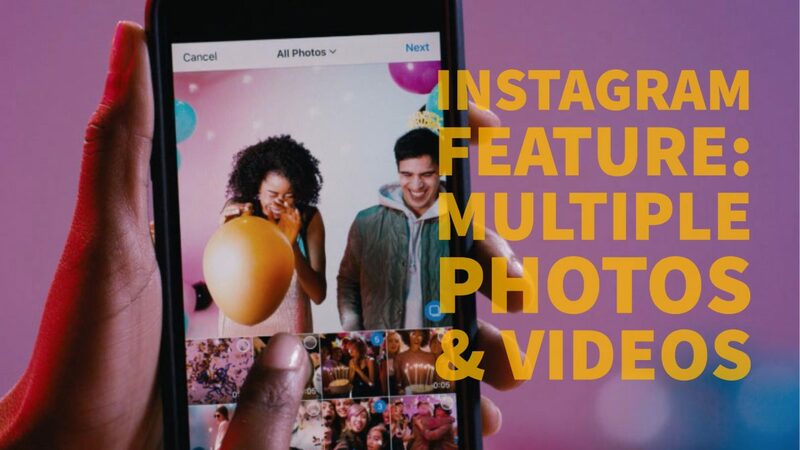 In a blog post, You can now share multiple photos and videos in one post on Instagram. Gone are the days where you will have to painstakingly choose one photo to share on your account. Instead, you can now share multiple images or videos giving you a more dynamic experience. Combine up to 10 photos or videos! How do you see them? As illustrated in the accompanying video, just swipe left. Whether you use Instagram for business or personal accounts, you will find creative uses for this new feature. I can see this being very useful for businesses who want to increase engagement. The feature is very similar to Facebook’s carousel ads, which makes a lot of sense considering Facebook and Instagram are integrating similar features. The new feature also provides another channel where brands can tell more complete stories. Especially useful is the ability to mix photos and videos as opposed to being limited by one or the other. Let’s just say, I will be testing this out very soon. You should, too! I am an award winning digital designer focused on building successful brands. My specialties include web design, web development, brand identity, and social media marketing. Say hello @BrianJoelMaya!